2014 Belisario Verdicchio di Matelica Vigneti B. The official name of the restaurant is La Madonnina del Pescatore (“the little Madonna of the fisherman”, as in someone higher up who looks over him while at sea) but everybody just knows it as Moreno Cedroni, the bandana wearing owner-chef who is one of Italy’s best known, most famous and easiest to recognize cooking personalities. No matter which name you use, this two Michelin star establishment is one of Italy’s top 15-20 dining destinations. You’ll never regret having booked a table. 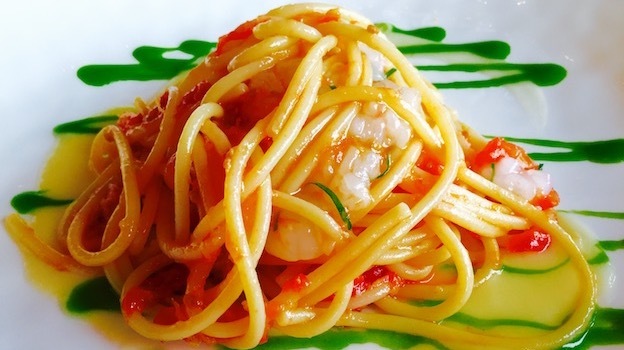 In fact, “restaurant” may be a reductive term for what Cedroni has created: the place is actually more of a “taste laboratory”, where, since the day of its opening on April 24, 1984, numerous memorable signature dishes have seen the light of day. 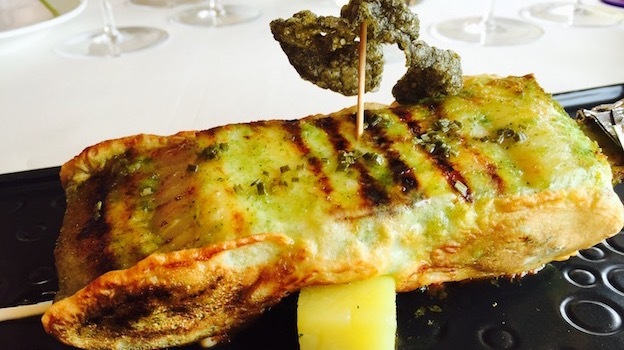 Cedroni, much like Berasategui, places the birth year of each dish right on the menu. First and foremost is the susci, Cedroni’s very Italian take on sushi. Italians have been eating small pieces of raw fish for millennia, and Cedroni wants that historic patrimony to be clear to everybody. Or the insalata di mare (seafood salad), in which crustaceans and mollusks are each infused in a different liquid (oil or water) at different low temperatures, an only apparently simple preparation requiring time, attention to detail and patience. 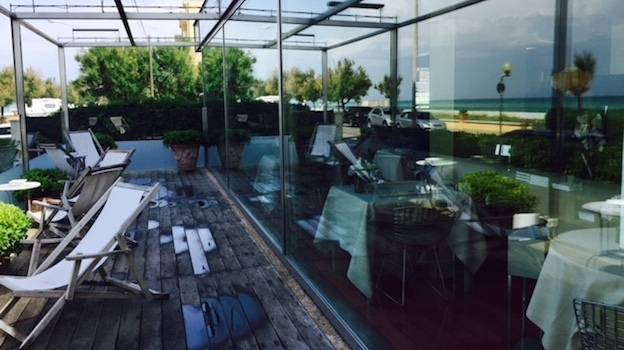 The restaurant itself is housed in a simple seaside building (though it is separated from the beach and water by a road that can see some heavy traffic) with a modernist, very clean interior design done by Fabio Ceccarelli. Mariella, Cedroni’s wife, is in front of the house to make sure everything runs smoothly. On this day, it is hard for me to pick a clear-cut favorite dish: all are simply extraordinary. Perhaps my preference is the spaghettoro, but then again I like pasta. The two turbot dishes are magnificent as well. A rare precision of culinary technique is fused with ingredients that are allowed to explode in all their fragrance and depth of aromas and flavors. In the end, it is easier to make up my mind about the wines. The 2014 Belisario Verdicchio di Matelica Vigneti B. is simply a magnificent Verdicchio, showcasing how underrated this cool, rainy vintage has turned out to be. Mineral and pure, with long, balanced flavors of fresh citrus fruit, sweet almond paste and pear, this is a simply remarkable wine, and far better than the same wine in 2015, which is broader and larger but ultimately less vibrant. There is no Loire wine I like more than those made by Huet. 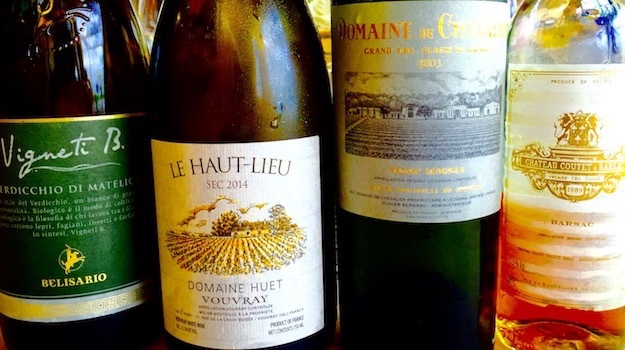 The 2014 Domaine Huet Vouvray Sec Le Haut-Lieu is wonderfully clean and bright, its mineral, lemony and apple profile matches with my appetizers and primi exceptionally well. The 2003 Domaine de Chevalier Blanc Pessac Léognan Grand Cru Classé confirms all one would expect from a Bordeaux white wine in a hot year, but this is a vintage in which Domaine de Chevalier performed remarkably well. The bottle on this night had aged less well than others I have had before, and was starting to show signs of a precocious evolution. The best wine of the evening, perhaps not surprisingly given its pedigree and fantastic vintage, is the outstanding 1989 Château Coutet Barsac Premier Cru Classé, a smorgasbord of honey, ripe tropical fruit and saffron, all complicated by marmalade-y botrytis. Long and pure, it was hard for me to let go of the glass (which I did of course, but only so I could get it filled up again). Coutet doesn’t always get the credit it deserves: it’s certainly a different Barsac than Climens, but just as great, and often better. 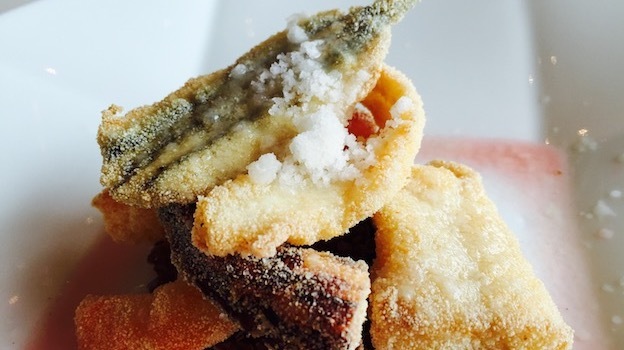 In ultimate analysis, I came away thinking that my meal at La Madonnina del Pescatore had been, at least until then, one of my ten best of the year. 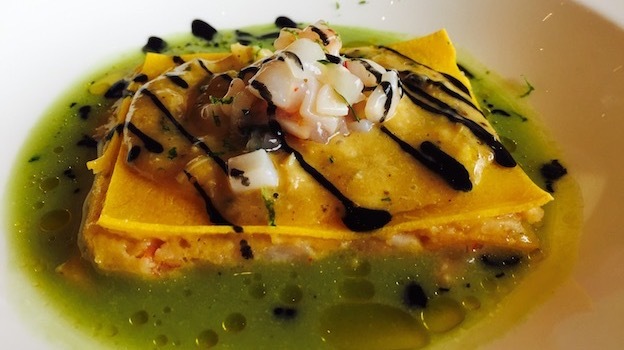 Cedroni’s cooking is unbelievably precise, each ingredient of each dish resonating loudly. You get up from the table with considerable spring in your step, a testament to the lightness of Cedroni’s touch. Also very important for all of us wine lovers is that wine prices are very reasonable at La Madonnina, so you won’t feel like you are getting gouged just because you wish to drink well (always commendable, in my opinion). In Italy many are forever playing the game of trying to determine which of the Marche’s two best known restaurants is the greatest (Madonnina or Uliassi, soon to be reviewed on Vinous), but it’s a pointless exercise, as both chefs are ultra-talented, plus their approach to haut cuisine and the ingredients used is too different. Simply put, they are both fantastic eating establishments and I am more than glad to go to either one any chance I get.